What's that up there? It's a Lego Batcave. Where is it? Under Lego Batman's Wayne Manor, of course. Awesome, right? It'd be more awesome if a blocky version of Bruce Wayne's ancestral home actually existed. You can help with that. 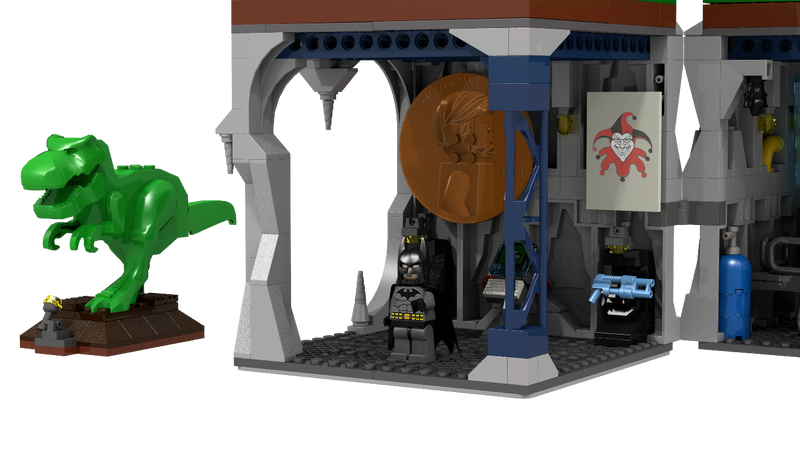 Right now, this miniature version of the Dark Knight's lair only lives on a Lego Cusoo page, as part the toy company's site for projects that fans can vote into becoming actual products. There've been Lego Batcaves before, but this one combines Batman's subterranean headquarters with his old-money homestead in an expandable playset. The mock-up includes all the familiar elements of the Batcave, along with knowing touches like a big portrait of Thomas and Martha Wayne. Proposed villains for this set would be Red Hood and the Demon's Head himself, Ra's Al Ghul. Cusoo petitions need 10,000 supporters to get considered by the Lego powers-that-be. Surely, enough Bat-fans exist to give Lego Alfred a place to live, no?